Your browser is outdated and this site may not display properly. 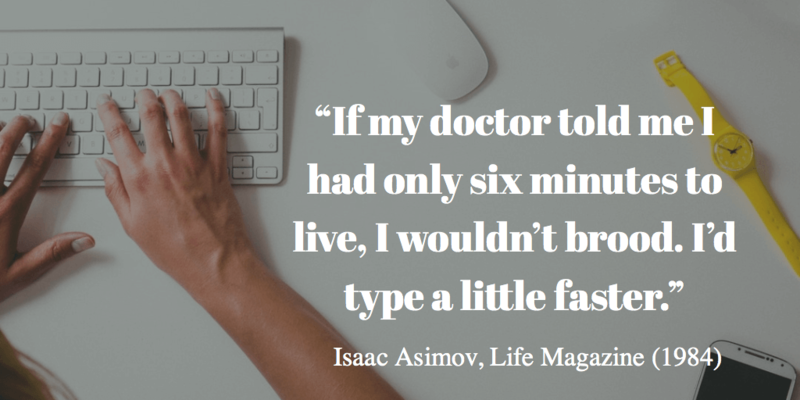 "If my doctor told me I had only six minutes to live, I wouldn't brood. I'd type a little faster." Isaac Asimov, Life Magazine (1984). You can find more in my quotes section here. Copyright © Robert Batten. All Rights Reserved.